As soon as you arrive in Amsterdam you can't miss the canals and the skinny houses standing over them. This style of house can be seen everywhere but each with its own unique look and personality. A true fact is that they are built so skinny because they wanted to save on taxes due to tax being charged by the width of your home. The three main canals are called Herengracht, Prinsengracht, and Keizersgracht. But there are more including the Groenburgwal canal which gives you an excellent view of the Zuiderkerk (Southern Church) tower. 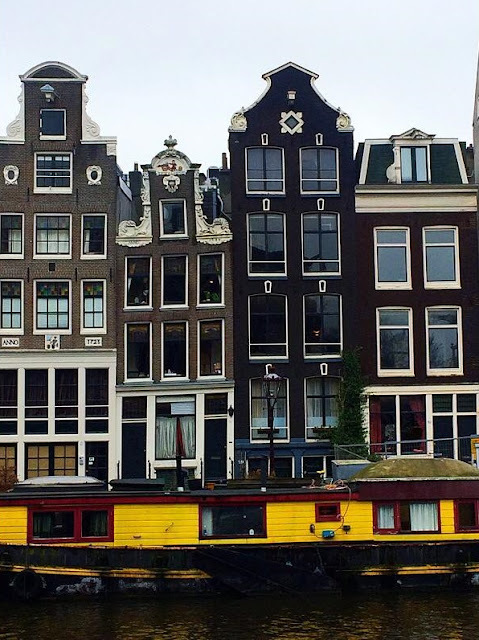 On the Sunday we hopped on a boat which we had booked on Viator, to learn more about Amsterdam's history and see the architecture. Whilst on this we got a spectacular view of Reguliersgracht canal, which is otherwise known as the "Canal of Seven Bridges" and of the the Magere Brug also known as the Skinny Bridge. It's official name is Bloemenmarkt and it is the worlds only floating flower market, dating back to 1862. All the stalls sell quite similar flowers but it's lovely just walking along and enjoying the colourful displays. 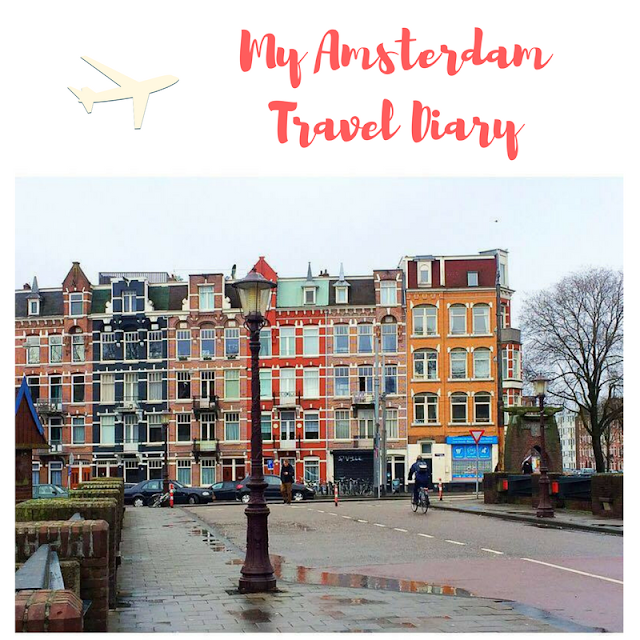 You can guarantee the Amsterdam sign will always be busy, situated in front of the Rijksmuseum museum there are stunning gardens nearby which are free and the day we went there was a market with lots of yummy food! If you're a couple I would take a selfie stick to get a picture, unless you want to ask someone. It was very windy the day we visited hence the crazy hair! Reypenaer Cheese Tasting Room came highly recommended for a cheese tasting experience like no other and oh boy do I love cheese! You have to book your place as it is very popular but you get to taste lots of different cheeses all produced by Reypenaer, a family-run dutch company that have won lots of awards. The tasting includes a selection of cheeses some matured for over 4 months and up to 2 years! You get to taste them with port and wine to bring out the different flavours. There is an expert on hand to talk you through the history and flavours of the cheese. I really enjoyed the hour long experience and learnt so much about cheese that I didn't know, you even get a certificate at the end. Whenever I go away somewhere I always make a list of top restaurants and bars not only because my boyfriend and I are proper foodies but also he is coeliac so he has to be careful what he eats. A lot of the places we visited had gluten free options. 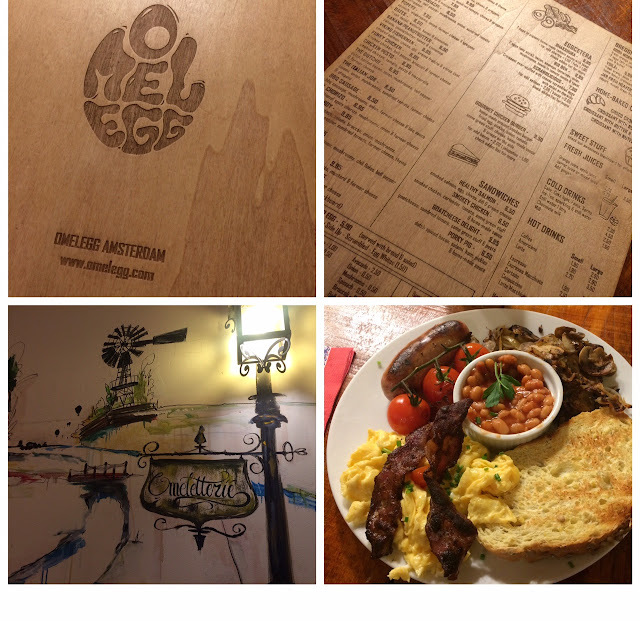 A chain in Amsterdam so you will spot them a few places when walking about, you can visit Pancakes for either breakfast or lunch as they offer savoury or sweet including gluten free. 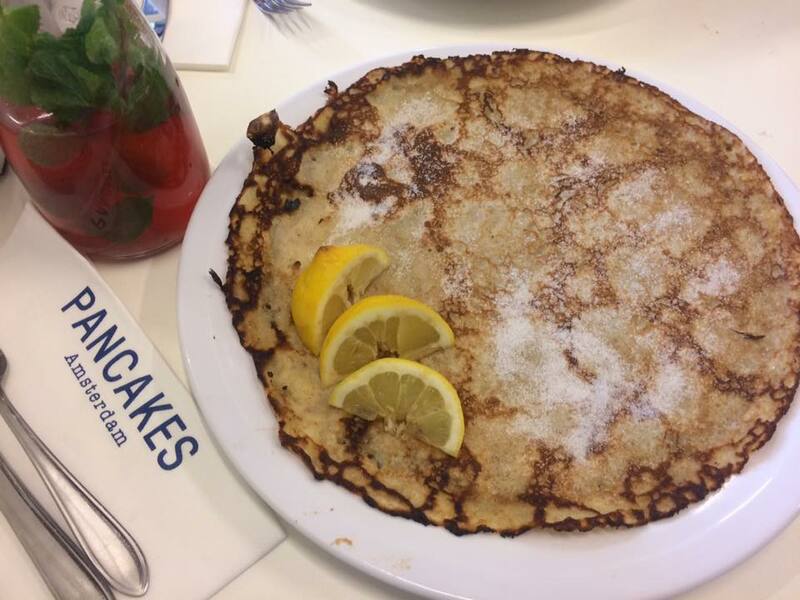 I went for a traditional lemon and sugar pancake as I was already full from brunch. It was the best pancake I have ever had and I actually struggled to finish it! After hearing that its the first omelettery in The Netherlands we had to go! Located in De Pijp, Omelegg has some quirky decor and the menu is endless you can literally have any omelette you fancy. I ended up having a big breakfast and it was delicious. Another breakfast option, Piqniq is in the Jordaan area and ranked number nine on tripadvisor so we knew it must be good plus they do gluten free bread. 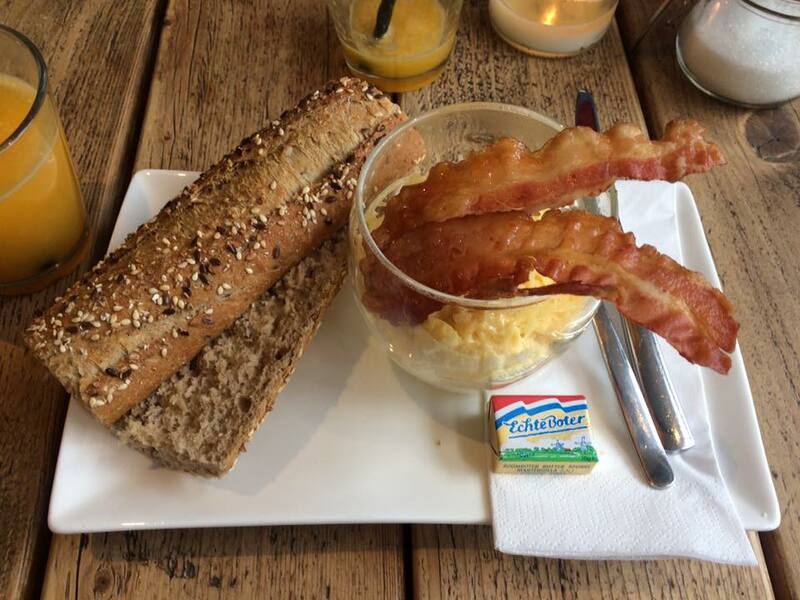 I had bread, scrambled eggs and bacon, even though small it was just the right amount to start my day of exploring. Luckily our hotel was right beside this so we could pop in whenever we liked. After arriving in Amsterdam we went straight here for lunch and were surprised by all the options! As soon as you enter the hall there are lots of massive tables and independent food stalls all around serving meat, sushi, pizzas the list is endless something for everyone. 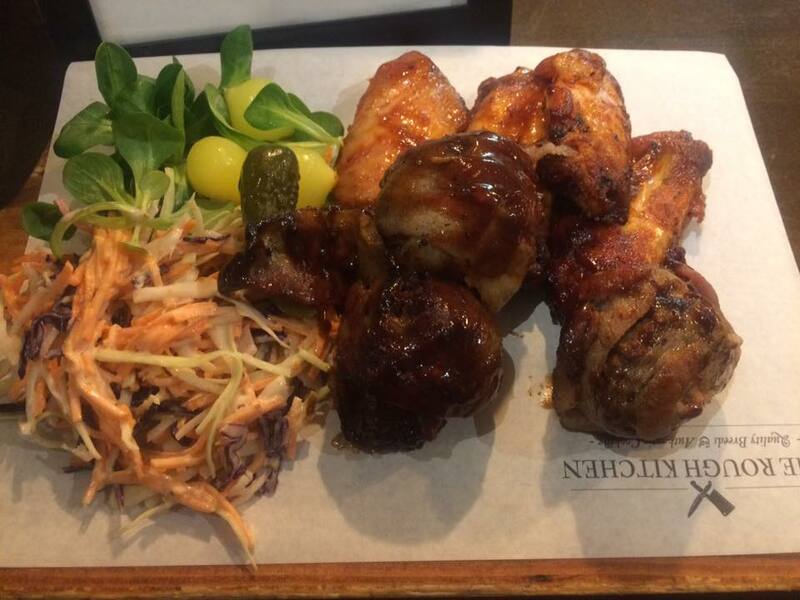 We shared some meatballs in bacon and chicken wings from the rough kitchen. If you love gin there is also a bar right in the middle. Oldenhof is a mysterious, old fashioned bar hidden away in the Jordaan district. From the front it looks like someones house but you ring the doorbell and the barman opens the door for you and shows you to a table. 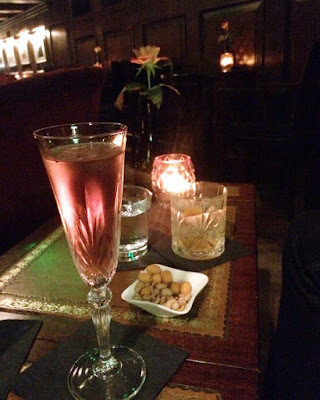 I felt like I had gone back to the 1920s as it had the ambience of an old style jazz bar or speakeasy, the music and the velvet decor combined made this bar out of this world. The menu was extensive with lots of cocktails, whiskies and gin galore and the barmen very friendly, polite and attentive, ensuring you always had a drink, some water or a little ramekin of nibbles on your table to enjoy whilst relaxing and chatting softly. Rakang is ranked 100 on TripAdvisor, I have always been a massive fan of Thai food and this family run restaurant in the Jordaan district didn't disappoint. This restaurant was small inside so I would recommend booking but once inside the decor was bright and funky. We had a sharing platter to start which included chicken satay , chicken wrapped in pandan leaves, deep fried Thai fish cake, Thai spring rolls and crispy shrimp wanton. For main I ordered the Kai Pad Priew Wan which was crispy chicken in sweet and sour sauce. We booked Haesje Claes before we arrived on the Saturday and we're so glad we did. There was actually a queue at the front door (that's when you know its good) but they seated us straight away. Very traditional inside they have a whole gluten free menu with lots of different options the boyfriend went for Stamppot (a traditional dutch stew) with a meatball,sausage, sauerkraut and bacon and I had an oven stockpot of fish topped with dutch cheese. The portions were very generous with the amount of fish they gave me and the service was amazing. 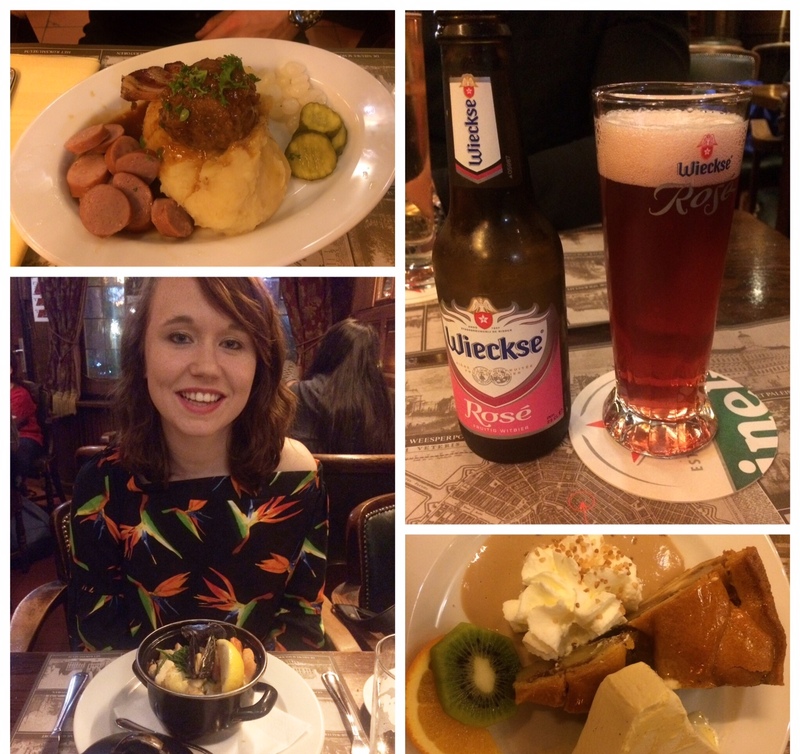 We will definitely be back here for more traditional dutch food. Have you ever visited Amsterdam? What is your favourite part? Graet images of a great city with mouth watering food! 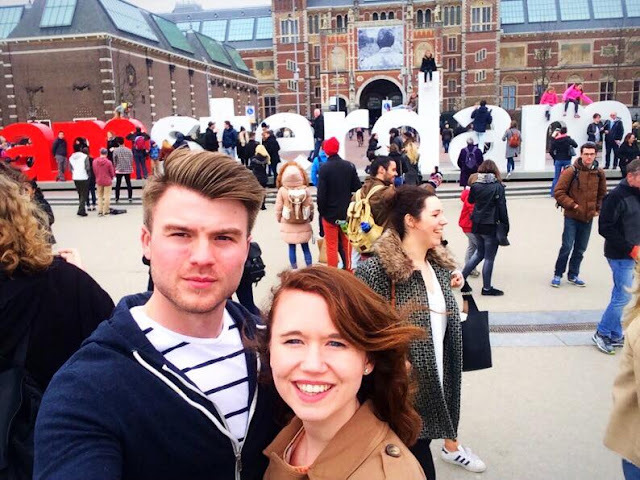 Fantastic pictures, delicious foodie and looks like you and your BF had so much fun. Seems you had a great time, amazing photos! 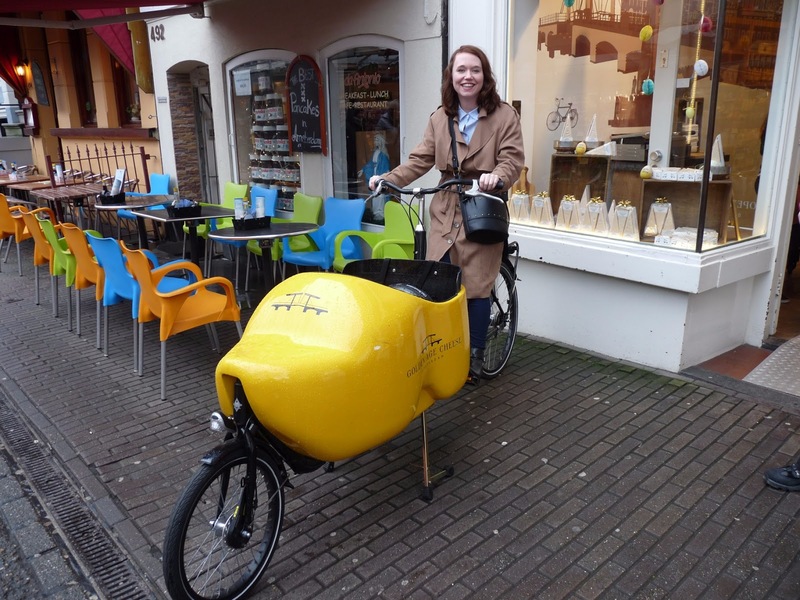 I'd like to visit Amsterdam soon too! I've been more than 3 times to Amsterdam and I haven't tried all the goodies from your post, I wish I knew about it before. Will save this for next time I am heading to Amsterdam. 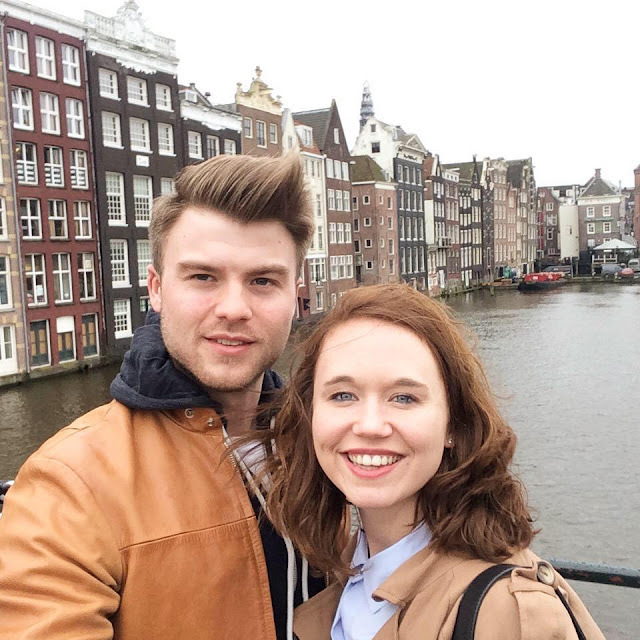 We have never visited Amsterdam but I think, from reading your post, that if we ever did visit, our favourite part would be the food. Wow, it all looks delicious! 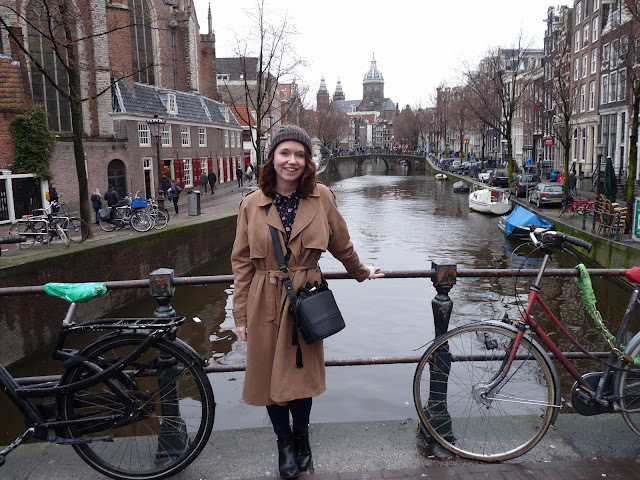 Awesome photos, looks like you had a great time in Amsterdam. I visited it few years ago and I really liked it, especially I fell in love with the old city center. Oh! The food! It looks so scrumptious! The cheese tasting sounds like a fun activity as well. The Amsterdam sign looks really busy. Bookmarked your post for the future. Thanks for sharing. We have a layover in Amsterdam this June. I don't know if it will be long enough to do much, but we're going to try! Pinning this for later! This is perfect! We just bought tickets to visit Amsterdam later this year. The cheese tasting looks so good! Thanks for sharing! Amsterdam is truly stunning. I've been there a few days ago but I haven't been to the Haesje Claes. :/ What are your highlights from Amsterdam?